Traditional workplace and career paths have changed dramatically over recent decades. It is not uncommon now to have seven or more jobs in your lifetime. That presents challenges to employers looking to create a positive workplace environment. It’s an area that intrigues Gianpiero Petriglieri, who is professor of organisational behaviour at Inséad graduate business school. If a company can create a good workplace, a sense of loyalty can last among employees even after they leave, he said. It’s something that a number of the large technology companies are very good at. Traditionally opportunity for advancement was one of the reasons employees were loyal to their companies, but today there are different criteria. 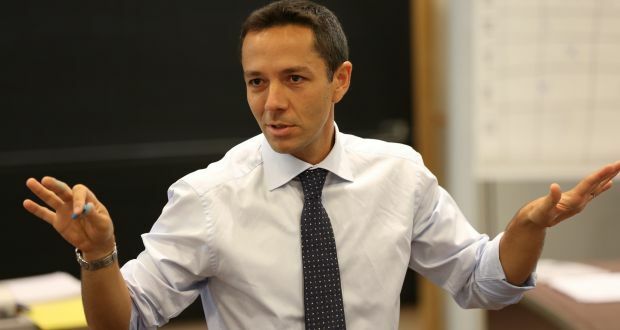 “In many professions, job security is a thing of the past,” said Prof Petriglieri who will be discussing his work at the Great Place to Work Conference in Dublin on Thursday. “A lot of talented people now think a place to work is great if it makes them more ‘portable’, if it increases the chance they can take the skills they develop in one place and take it to other places. One thing that hasn’t changed he said is that people still want to be rewarded. If you reward people and give them opportunity, they are loyal, said Prof Petriglieri. But, he adds, cash is not always king with the modern worker. Portability is the opportunity that has the most value in this economy and, if a company provides it, it can make them more attractive. Companies that are effective in providing this can even afford to pay lower salaries, he said. Employees see “investment not in the firm but an investment in themselves”. Two things that are important to offer employees are often overlooked by organisations. One is a sense of direction, which is different to the traditional clear career path. “Maybe things are too uncertain to have a destination but at least I can have a sense of direction, that I’m moving somewhere that is in my own control,” he said. Another is a sense of connection. If employees can build bonds with each other and with the organisation they are working in, that bond “will continue even when we are no longer in the same place. Even if we are moving around”, he said.